Homeowners in the United States should be aware of changes to home tax deductions. These changes are important to understand for when they prepare their 2018 tax returns during the 2019 tax preparation season. They stem from the federal Tax Cuts and Jobs Act of 2017. Changes to home tax deductions were implemented to reduce the ability of homeowners to deduct interest on Home Equity Lines of Credit (HELOC) Loans. When HELOC loans are not used for home purchases, building, or substantial improvements, the interest on these loans will no longer be deductible. There are also dollar limits on the total qualified residential loan balances allowable for deductions, an increase in the standard deduction, and a $10,000 limit on the federal deduction of state and local taxes. The tax reform law places a limit on the federal deduction of state and local taxes to only $10.000. Homeowners in areas of the United States which experience high taxes include those in the Northeast and the West Coast. As a result, these homeowners may experience an increase in their tax liability. Homeowners planning to file for home tax deductions on their 2018 tax returns should be aware of the changes to allowable deductions on their HELOC loans. They should also be aware of the new lower dollar limits on qualifying mortgages imposed by the tax reform law. Homeowners should be aware of the requirement that deductions must exceed the new standard deduction if they plan to itemize. Homeowners in states with high taxes should be aware of the new $10,000 limit on federal deduction of state and local taxes. In all cases, homeowners should consult a qualified tax professional for guidance on this issue. Global Mobility Solutions’ team of corporate relocation experts has helped thousands of our clients understand the importance of obtaining professional guidance when it comes to changing tax regulations. We can help your company understand how to communicate the potential impact of these changes to your new hires and transferees. 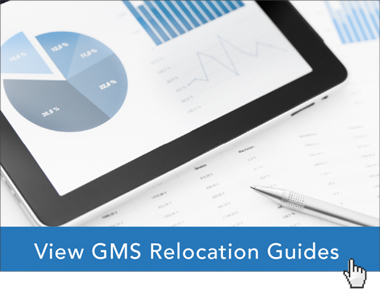 This will ensure they have relevant information as it applies to their relocations. GMS is not a tax advisor and is only disseminating public information. You should always consult your own tax professional prior to making any decisions.